Selected from thousands of nominations, Miss Rose is one of just 65 winners who will be celebrated today on 22 June - ‘Thank A Teacher Day’, as the national Teaching Awards marks its 20th year of celebrating excellence in education. 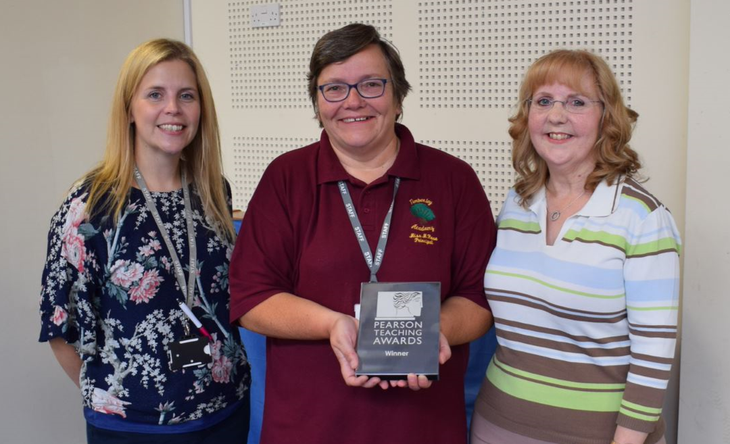 Celebrations will take place in schools and colleges across England, Wales and Northern Ireland as the prestigious Silver Pearson Teaching Awards trophies are presented to outstanding teachers, teaching assistants, headteachers and lecturers. Miss Rose will now join fellow Silver Award winners, along with 3 Scottish Education Award winners and 3 winners of the Professional Teaching Awards Cymru, at the 20th UK Ceremony of the Pearson Teaching Awards, a glittering ceremony held in central London on 21st October. There they will find out which of them has won one of just 12 Gold Plato Awards, the UK’s “Oscars for Teachers”. October ceremony, titled “Britain’s Classroom Heroes”, will be filmed and broadcast by the BBC as a showcase of excellence in education. Previous award presenters have included former prime ministers David Cameron and Tony Blair, acting legends Jenny Agutter, Alison Steadman and Sheila Hancock and sports and TV personalities including Shirley Ballas, Helen Glover, Brendan Cole and Nadiya Hussain. You make Timberley Academy the amazing school it is and we appreciate everything you do.